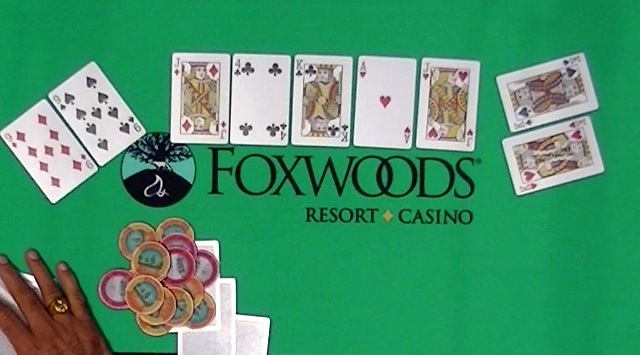 It's 7pm in the Foxwoods Poker Room, and Event #5: $580 NLH is in full swing. The morning flight that started at 11am got 183 entrants and is down to the final 30 players. They just began 1,200/2,400 blinds with a 400 ante, and this will be the last level of the day. The second flight is on their first break of the day. Registration is still open for 2 more levels, so there are no final prize pool and payout numbers, yet. Both fields will combine tomorrow at 2pm to play down to a winner. 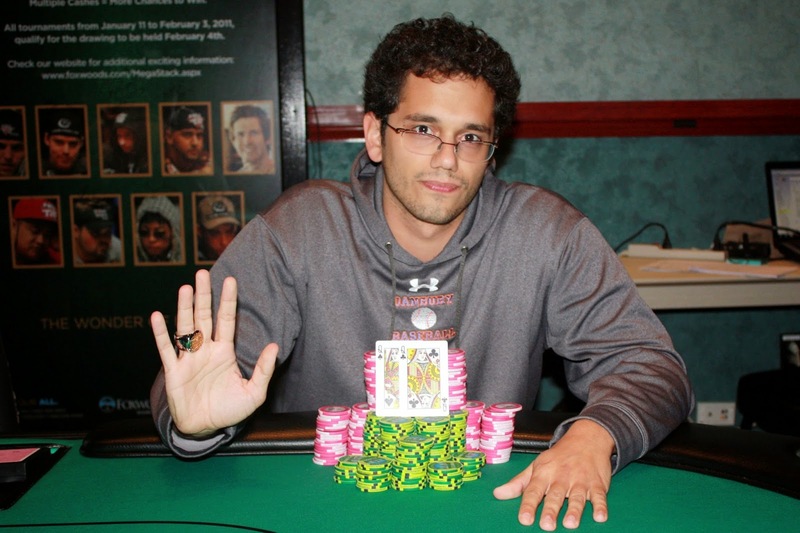 Joseph Delgobbo has won Event #4: $365 NLH! He will collect the World Series of Poker Circuit ring along with the $29,158 prize. 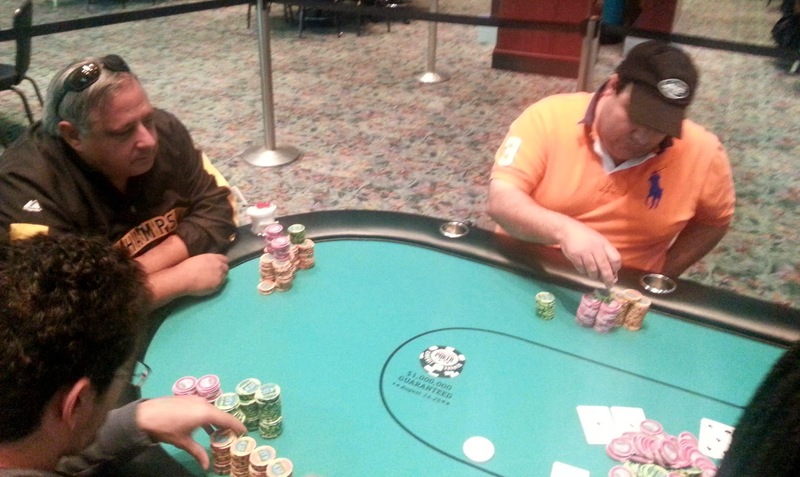 Aiman Abbassi was all in preflop holding [Ac][Js] and was up against Joseph Delgobbo's [Qs][Qc]. The flop fell [Kh][5d][Th], and Aiman asked the dealer to give Joseph a set, which would make him a gutshot straight. The turn was a [5h], leaving Aiman drawing to the same five outs. When the dealer put the [6s] on the river, Aiman was eliminated in 2nd place. On a [7s][7h][2d][6c] board, Mike Dubisz was all in holding [Qc][2s] and was drawing dead against Aiman Abbassi's [Jd][7c]. The river landed the [5h] and Mike joked, "Straight?" Unfortunately, his two pair would lose to Aiman's trip sevens, and will exit this tournament in 3rd place, good for $13,155. On a [5s][Tc][4s][2s] board, Aiman Abbassi moved all in and Mike Dubisz made the call after a long time in the tank. Aiman showed [Ah][Ad] which was ahead of Mike's [Td][9c]. The river fell the [6h] and Aiman doubled up. Cheryl Jennings-Logsdon was all in preflop holding [9s][9d] but was up against Nildi Pino's [Ks][Kh]. 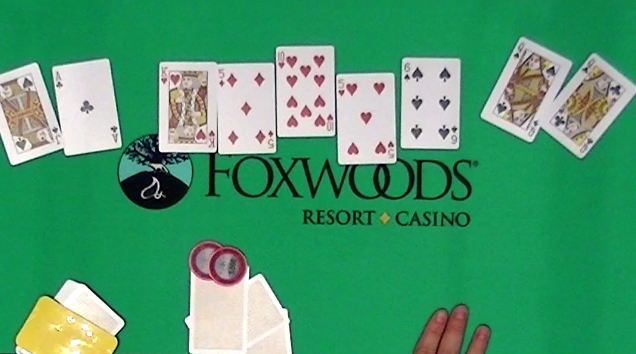 The [Jd][4c][Kc] flop left Cheryl with just a 2% chance of winning the hand, and the [Ah] sealed her fate. The [Jh] hit the river to improve Nildi to a full house, and eliminating Cheryl in 5th place, good for $7,324. 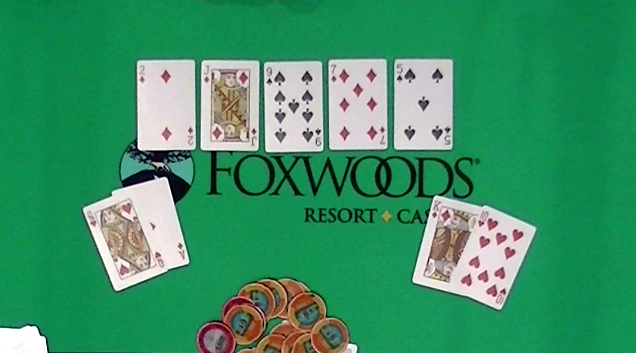 On a [8s][As][Qs] flop, William Pappas was all in with [Ks][Kc] against his opponent's [Ac][Td]. William had been outflopped, but he had plenty of outs with a draw to a straight or a set. The turn and river came [4d][7c] to keep the pair of aces in front, and William will exit this tournament in 6th place, collecting $5,587. 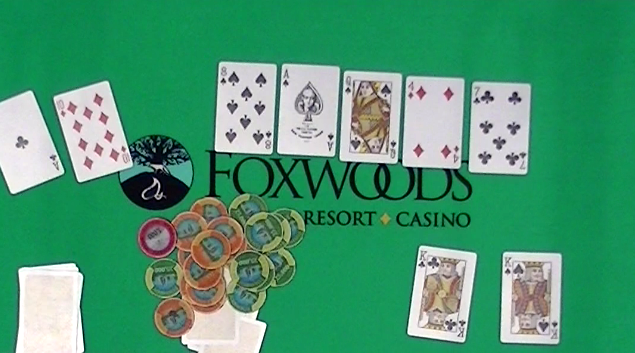 Michael Matuk was all in preflop holding [Kd][Th] and would need to get lucky against Aiman Abbassi's [Ad][Qh]. The [2d][Jd][9s] gave Michael a gutshot straight to go with his live cards to pair, but the [7d] on the turn took away some of the outs by giving Aiman the nut flush draw. 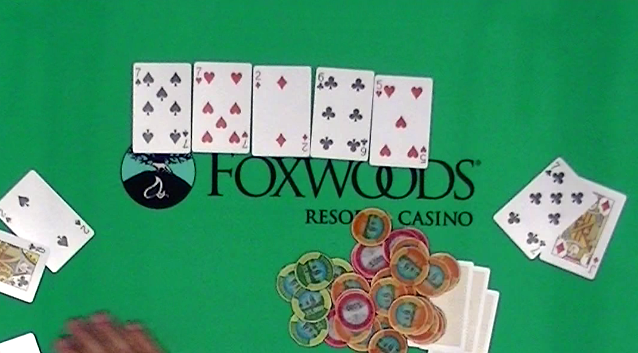 The river blanked the [5s], and Michael will be eliminated in 7th place, good for $4,340. Cards are in the air for the first of two flights in Event #5: $580 NLH. This tournament will have 6 levels of registration, and then there will be a second flight starting at 5pm. Players eliminated from Flight 1A may Re-Enter Flight 1B. You can view the structure sheet here. At 1pm, Event #4 $365 NLH will resume and will be streaming live at www.FoxwoodsLive.com.